The Black Crowes just announced the dates of their “Lay Down with Number 13” world tour’s first leg as well as details on the release of Wiser for the Time featuring 26 songs. The group will launch the first leg of their tour on March 24, 2013 in Manchester, with the first leg winding down on May 4th in New Orleans. And Chris Robinson (lead vocals, guitar), Rich Robinson (guitar, vocals), Steve Gorman (drums), Sven Pipien (bass) and Adam Macdougall (keyboards) also stated in the tour announcement that they’re “thrilled to announce” the addition of Jackie Greene on guitar and vocals. Tickets go on sale on January 11th. For more info, check out the group’s official website. 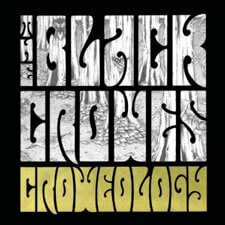 The Black Crowes also revealed the live Wiser for the Time vinyl release will be available on March 19th. Featuring 26 songs, the 15 acoustic and 11 electric tunes were recorded during the group’s sold-out NYC performances in 2010. These specific tracks have never been released before.